A Gospel Advancing Youth Ministry will look different for everyone. 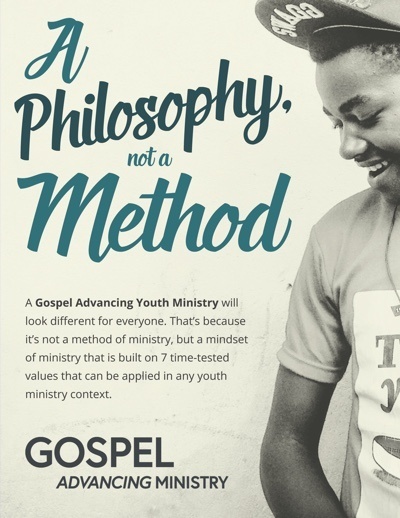 That’s because it’s not a method of ministry, but a mindset of ministry that is built on 7 time-tested values that can be applied in any youth ministry context. Dive into the quick guide, and learn more about the 7 values of a Gospel Advancing Ministry today!